Legacy Studios and Sideshow’s Mythos Alien Statue On The Way! i09 have recently shared an exclusive look at Sideshow’s upcoming Mythos Alien statue. Designed in collaboration with Legacy Effects, the successor to Stan Winston Studios, the Mythos Alien is a re-imagining of the classic Alien design. There’s currently no release date or pre-orders available but you can subscribe to Sideshow RSVP list to get that notification when orders go live. The statue will also be on display at New York Comic Con next week. What do you think of this new take on the Alien? 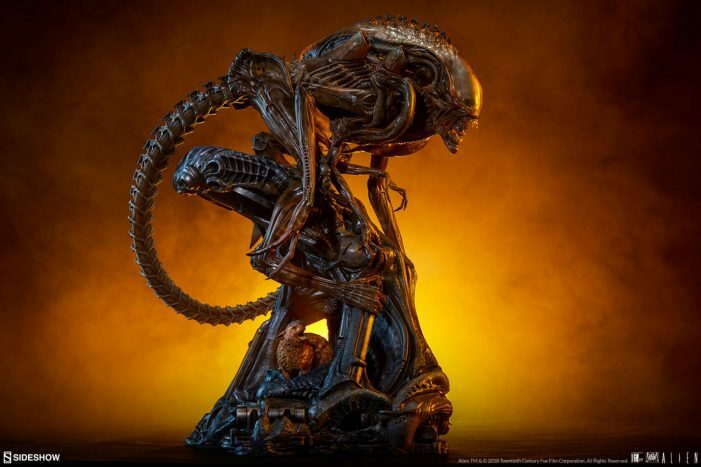 Sideshow Collectibles Announces New Alien Mythos Bust! Prodos Games Announce New 6″ Predator Statue!